After a joyful Christmas, the Serie A returns in the New Year to provide us with some exciting clashes on the betting front. Despite defending champions Juventus’ woeful start to the season, they have showed plenty of fighting spirit to claw their way back into the top four. Inter Milan remain at the summit of the table, with Napoli and Fiorentina tied on 35 points in second and third place, only a point separating themselves from the leaders. Hellas Verona will kick-off the New Year without a win to their name after 17 games, while newcomers Frosinone and Carpi complete the bottom three. 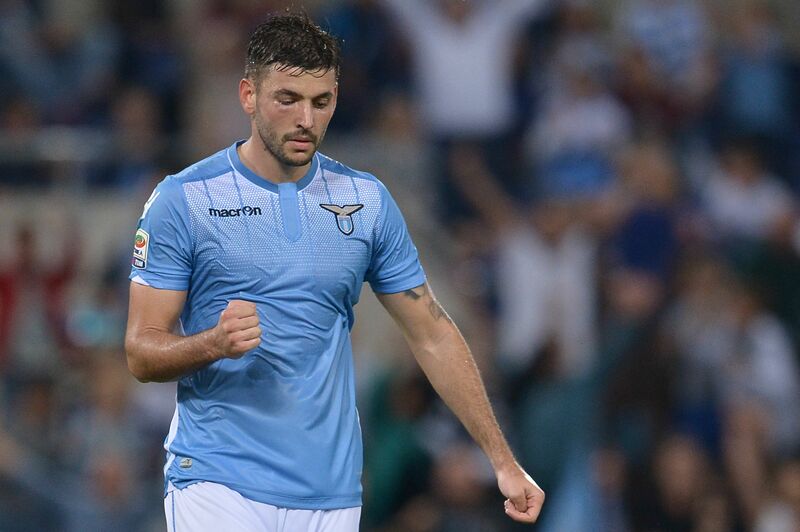 Lazio are on 23 points in 10th place, just seven points off the relegation zone. That sums up how tight it has been this season. Let’s hope the second half of the campaign is just as thrilling as the first. Genoa will host Sampdoria knowing a defeat could see them drop into the bottom three should Frosinone win their match at Sassuolo. The Rossoblu have lost their last five games on the spin in all competitions, including a 2-1 defeat on their turf against third tier side Alessandria. Sampdoria got back to winning ways last time out with a 2-0 home win against Palermo. However, they remain winless on their travels, scoring just six goals and conceding 15 times. Sampdoria have won the last two meetings at Genoa, winning 1-0 in both matches. It should be another tight affair, but la Samp are tipped on the Win/Draw Double Chance at 13/20. A win for Udinese could see them climb into the top half of the table, but inconsistency has diminished their efforts. Udinese have scored just six goals in eight matches at home, but are coming off a hard-fought 1-0 win away to Torino. Atalanta have lost consecutive matches and are without a victory away to their opponents in the last five meetings, including two losses on the bounce. Scoring has been an issue for both teams, so the safest bet would be Under 2.5 Goals at 13/20. AC Milan will look to close the gap between themselves and the top four with a victory over newly-promoted Bologna. Milan are undefeated in their last four matches, and have lost just once on their ground. Bologna have lost five of their eight travels, scoring just seven times. They lost 3-2 on home soil last time out against Empoli, and that doesn’t look like improving here. Milan are unbeaten against Bologna in the last 11 meetings, including seven victories. The home win is tipped confidently and is definitely one for the multiples. Chievo have battled to maintain winning form this term, and as a result find themselves in the bottom half of the table. Next up for them is Roma who have lacked consistency as well. The Giallorossi ended a winless streak of four matches last time out, with a 2-0 home win over Genoa. Roma have dominated past meetings with Chievo, winning 13 times, drawing 10 and losing three of the last 26 meetings. The away win is priced up at 5/4 and looks well worth a punt. Hellas Verona will pay a visit to in-form Serie A champions, looking to do the impossible by claiming their first league victory of the season. Juventus will have none of that. The Old Lady are on a winning run of seven matches and don’t look like slowing down anytime soon. Hellas Verona have scored a measly 12 goals in 17 matches, conceding 27 times and Juve will look to exploit that terrible form. Back the hosts to win on the Halftime/Fulltime Double at 11/20. Lazio pulled off a shock 2-1 victory away to Inter Milan last time out and will be looking to build on that with a home game against relegation-threatened Carpi. Lazio have been decent at home with five wins from nine games, while Carpi have been dreadful on the road, losing six of their eight travels, scoring eight times and conceding 22 goals. The Biancorossi have lost back-to-back matches and are in desperate need to return to glory days if they are to see another season in the top flight. Lazio have conceded more goals than they have scored this term, but will be confident of victory here, following their win at Inter. Back Lazio for the Win + Both Teams To Score at 9/4. Fiorentina could go top of the log with a victory at Palermo - well at least temporarily - depending on results for Inter Milan and Napoli’s games. Palermo are just four points off the relegation zone and have lost three of their last four matches. Fiorentina have won five of their last eight games, and have done fairly well away from home. They have won the last four meetings against Palermo and are tipped to build on that. But for more value, back Fiorentina + Over 2.5 Goals at 19/10. Sassuolo remain unbeaten at home with four wins and three draws from seven matches. That record will be tested by new boys Frosinone who are without a win on the road, scoring just three goals and conceding a colossal 19 times. They have lost three matches on the spin and to make matters worse, the Canarini have leaked the most goals (34) thus far. Frosinone will be desperate for a positive result, but they just lack the quality and form to do so. The home win should be backed. On paper, this clash looks plain and simple – a win for Inter Milan. But on the form books, Empoli have looked the better team, winning four on the spin, while Inter have won twice and lost just as many in their last four games. The Nerazzurri may have the better head-to-head record but Empoli will be up for the challenge. This one could be a game of cat and mouse, so I suggest taking Under 2.5 Goals at 6/10. Napoli along with Sassuolo are the only two teams to remain unscathed on home soil. The Azzurri have won six of their eight games on their ground, scoring 16 goals and conceding only five times. Torino come to town off the back of successive defeats away to Juventus in the Coppa Italia and then Udinese at home in the league. Napoli have won four of the last five meetings against Torino and are tipped to claim another victory here.